Rocket Matter, the pioneering cloud-based law firm practice management software, is pleased to announce a partnership with the Louisiana State Bar Association (LSBA). Through this arrangement, LSBA members can sign up for the world’s most user-friendly and popular application for managing client matters and time and billing at a discounted rate. The partnership provides award-winning practice management software to Louisiana attorneys in law firms of all sizes. Rocket Matter created the first cloud legal practice management solution in 2008 and has since grown to serve thousands of law firms both nationally and internationally. The Louisiana State Bar Association is headquartered in New Orleans. Among their many priorities, the LSBA is dedicated to not only providing excellent services to their members, but also advancing their members’ professional and legal skills. 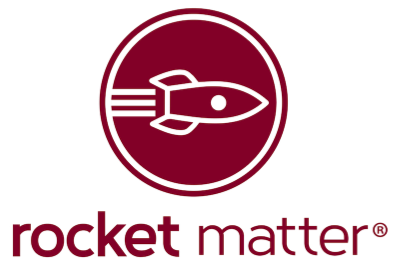 Rocket Matter’s powerful, easy-to-use interface allows law firms to organize matters, capture time, improve billing efficiency, and more effectively communicate with clients. Rocket Matter, which is available on desktops as well as on smartphones and tablets for the mobile attorney, integrates with many popular online tools such as Box, Dropbox, QuickBooks, Evernote and Law Pay.